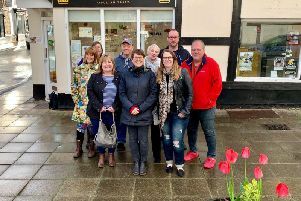 More than 75 people of all ages took to the streets of Heathcote and Warwick Gates as part of a community litter pick. In the space of two hours the committed volunteers collected over 30 bags of rubbish from around the local area on March 30. More than 75 volunteers attended the litter pick. Photo submitted. The event was organised by Heathcote Parish Church. Vicar Rev Rob Budd said: “The litter pick was a great way for members of the church family to join with members of the wider community and to demonstrate our care for our neighbours and the community that we share. "We were grateful for the equipment that was generously supplied by Austin Heath Retirement village and the delicious refreshments provided by the Warwick Gates Co-op.